We’ve all heard at least part of the famous quote by John Donne, a English clergyman and poet who lived from 1573-1631. My drakons tend to want to be islands onto themselves. 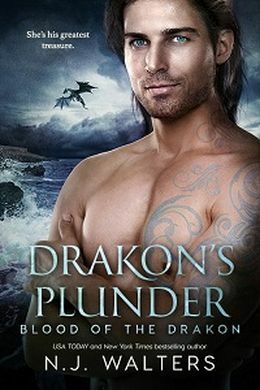 Ezra, the hero of Drakon’s Plunder, even owns a private island where he lives by himself. Being an introvert, I get that. I’m often happier by myself reading, writing, walking, and doing whatever it is a do in the run of a day. But even being an introvert, I know it’s impossible to live in the world without ties. We all have family or friends we’re close too. Maybe not many, but there are those people who have a profound affect on our lives every day. Sometimes the people who touch our lives aren’t those we’ve actually met. The words of an author can move or inspire us. A painter or artist can create a work that makes us feel some deep emotion or even question the world we live in. An actor or actress on television or the big screen may bring to life a story that stirs us in some unfathomable way. Or perhaps we hear a news account or witness a world event that forever changes us.